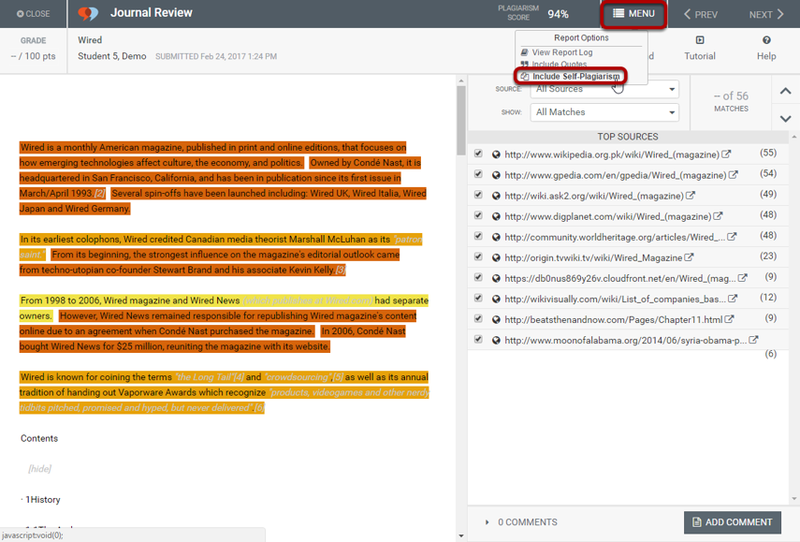 VeriCite DocumentationUser GuidesCanvas User Guide LTI Integration - Instructor ArticlesHow do I modify the Exclude Self-plagiarism setting for an individual report? When you create an assignment, you specify the default Exclude Self Plagiarism setting for all submissions to the assignment. However, this setting may be modified for an individual report if desired. 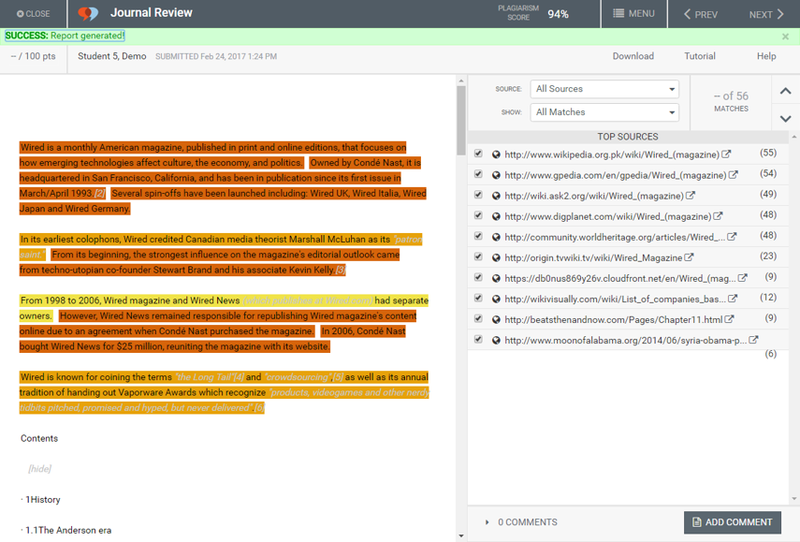 Excluding self plagiarism allows students to submit multiple copies (or drafts) of the same text within the same course without it being flagged as a match. If you would like to turn off this option and view multiple drafts from the same student as individual matches within the course, you may do so from the Report Options menu. Note: Student submissions of the same text in different courses at your institution will always be flagged as student paper matches. 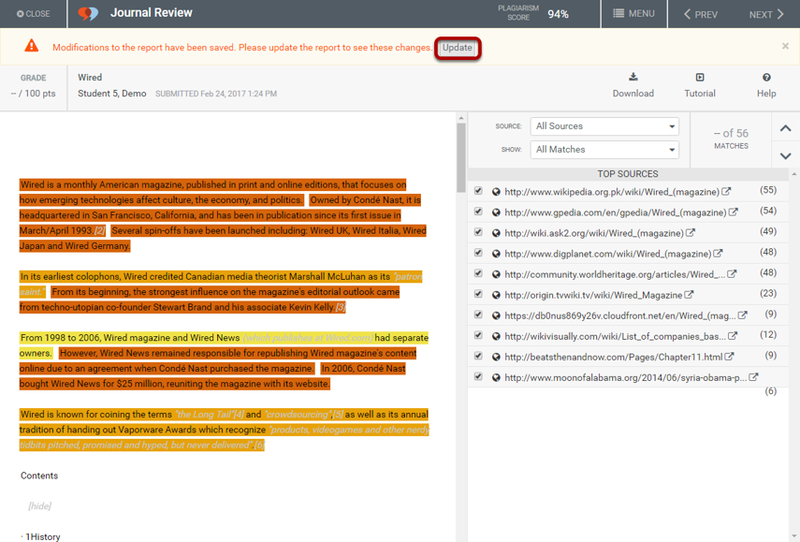 Click on Menu, and then select Include Self-Plagiarism. Zoom: Click on Menu, and then select Include Self-Plagiarism. Note: If you are already including self-plagiarism for the report, you may toggle this setting back on by selecting Menu > Exclude Self-Plagiarism. Prev: How do I modify the Exclude Quotes setting for an individual report? Next: How do I filter the report by match level?